Expand your vocabulary of forms using styrofoam molds and patterns with Big Island ceramicist, Suzanne Wang. Suzanne will demonstrate slab plates and dishes using drape styrofoam molds and fabrics. 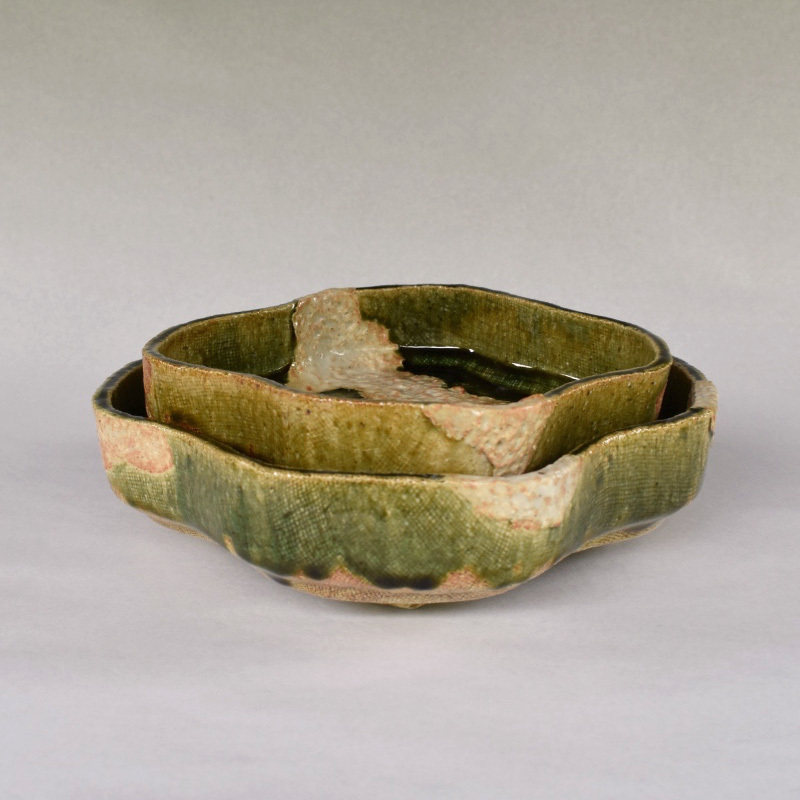 The use of patterns will be demonstrated with a handbuilt slab vessel. Finished examples will be shown. The importance of proper handbuilding technique and repetition will be emphasized to result in a series of quality pieces which looks and feels consistent. Important factors such as air bubble/warpage prevention and structural integrity in joining will be addressed. We will also explore surface treatments, including the use of slips and textured fabrics. Students will be given styrofoam blocks and taught how to create their own mold forms which they can keep for future use. 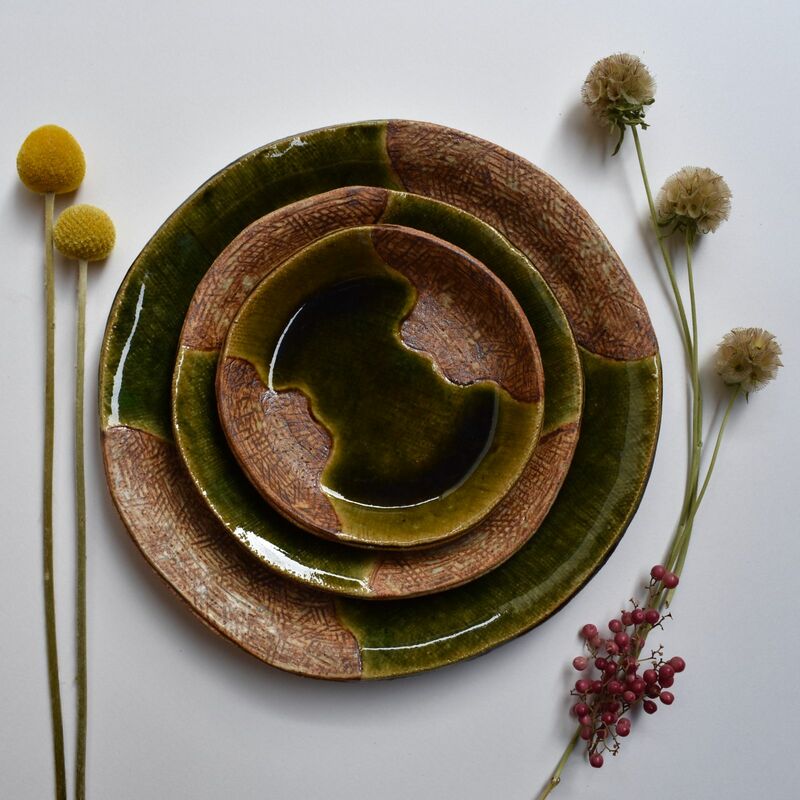 Depending on their level of experience, students can choose to make a plate, serving dish, or slab vessel made from their mold or designed pattern. The second day will be spent continuing on students’ work and finishing pieces. Final pieces will be fired and glazed after the workshop ends. If available, thin scrap fabrics no smaller than 16” X 16”. Fabrics can be netting, textured fabrics or hemp, as long as it is stretchable and thin. Large pieces of fabric are desirable, and can be cut down to size.